How can we find slope on a graph? 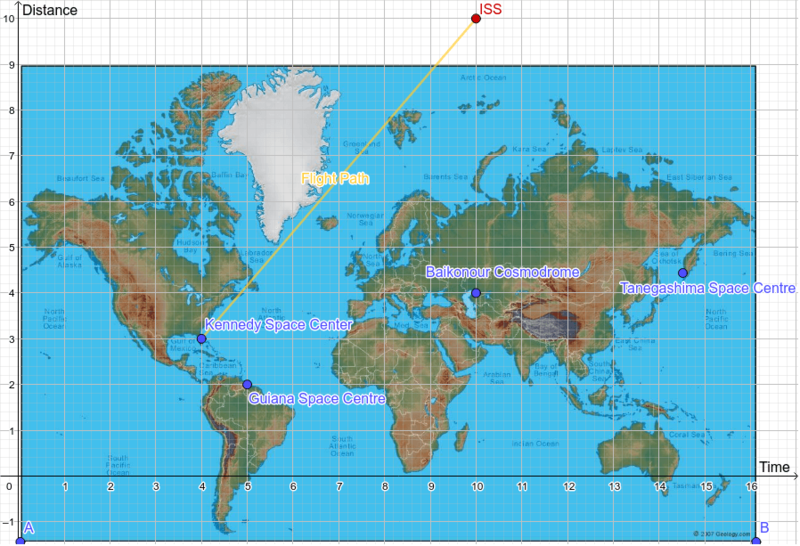 What is the slope of the flight path of a rocket launched from the Kennedy Space Center to the International Space Station (ISS)? What does this slope mean in terms of the rocket traveling to the ISS?